New York based Jamie Baum is among the most highly regarded jazz flutists in the USA (recognised in the DownBeat Critics Polls since 1998, #3 in the 2016 Top Flutists category in 2016.) Equally well known as a composer, teacher and clinician, Jamie has recorded extensively, including five recordings under her own name, three of them with her award-winning septet that serves as a major focus for her composition projects. She has now released her sixth record, the fourth with the septet. There have been, and continue to be, a number of jazz artists who not only excel in performance but also help to extend the jazz genre through insight and innovation. A good number of these artists are flutists. I often wonder why this is — something to do with the universality of the instrument, perhaps, and its connection with so many other music cultures from South America to South Asia. 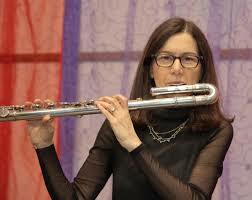 A case in point is New York flutist Jamie Baum. 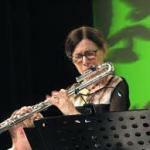 Known for her compositions as much as for her performing, she has produced a series of recordings that have not only found new ways to blend the flute with more traditional jazz instruments (her own ensemble, The Jamie Baum Septet+, matches her flute with trumpet, saxophone, bass clarinet, French horn, guitar, piano, bass, drums) but also draw on a variety of influences outside of the jazz canon, including Bartok, Stravinsky and Charles Ives. 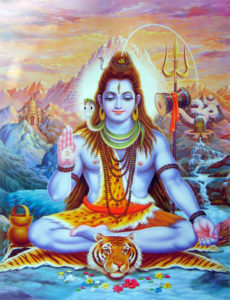 In her new recording, Bridges, (as well as her previous CD In This Life) she has turned to the music of South Asia. Bridges has been produced under grants from a 2014 Guggenheim Fellowship as well as a commission form The Rubin Museum of Himalayan Art designed to honor Nepal, and a series of other grants and fellowship listed in the CD notes. As someone who has studied Indian music for many years I have always been a bit wary of attempts at fusion of jazz, a music still in its infancy, with a music tradition that has been under development for centuries. While jazz artists have benefited from working with the rhythmic complexities of Carnatic (South Indian) music, there are melodic subtleties, particularly in the North Indian, or Hindustani tradition, that are beyond the capabilities of Western musicians, even Western instruments. And their performance rules are stricter and their performance standards higher than any tradition I know of. To say she is successful is an understatement. My initial misgivings have been swept away by the artistic achievement this music represents. 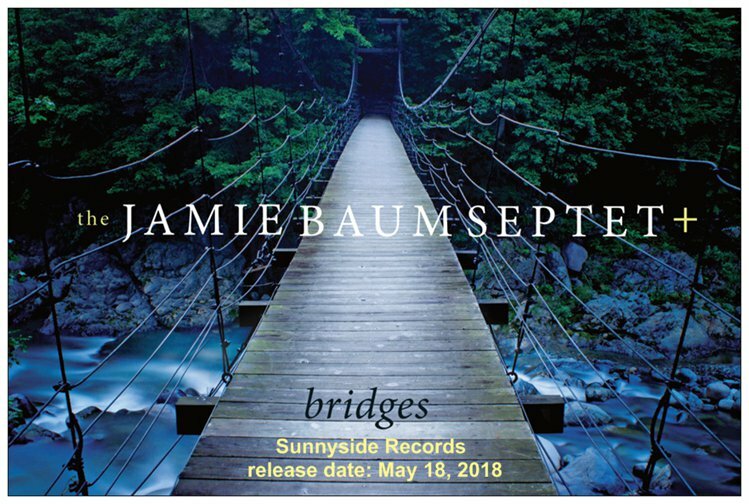 Beautifully articulated by the ensemble, with top quality solos by its members — led by Baum herself on concert and alto flutes — and recorded with great depth and clarity, this is a landmark recording that belongs in the collection of anyone interested in the artistic barriers being breached by visionary jazz artists such as Jamie Baum. In the course of its development as a major jazz instrument, the flute has been aided by a number of factors. Perhaps the most significant has been the stream of individual performances over time from a group of fine artists – from Frank Wess and James Moody to Hubert Laws and James Newton. (See my book: The Flute in Jazz: Window on World Music). 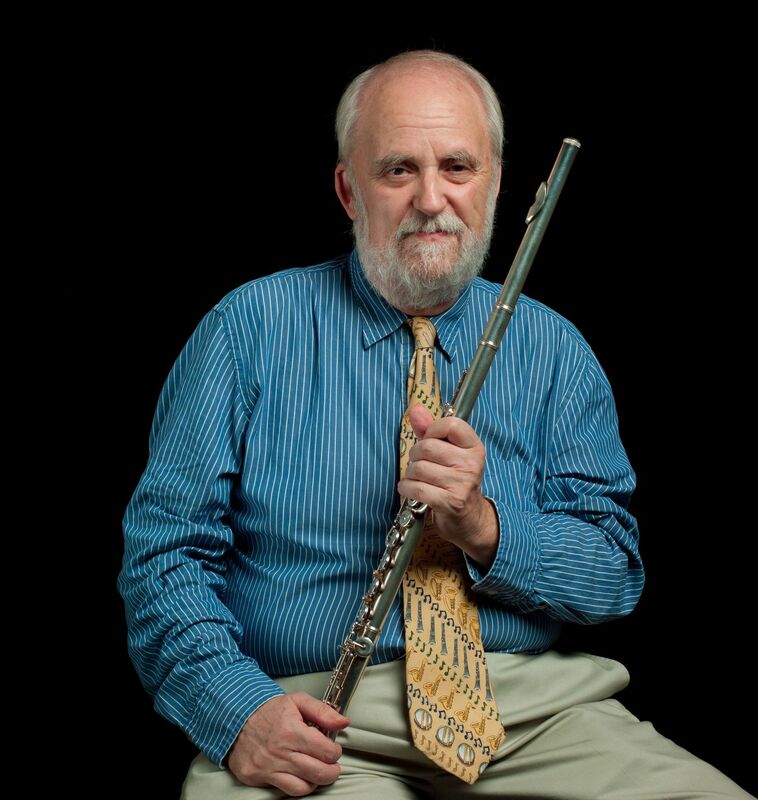 More recently, the growth of jazz flute ensembles, from Paul Horn’s Swinging Shepherds to Flutology to the various Jazz Flute Big Bands, has given the flute a greater profile in jazz. No less important, however, has been the incorporation of the flute into the “front line” of jazz ensembles large and small. The expansion of the tonal platte in jazz writing by such composer/arrangers as Maria Schneider reflects the emergence of the flute along with the revival of the clarinet, resulting in saxophone sections looking more like woodwind sections. More needs to be done in this area, particularly in the case of college jazz bands and stage bands where there is still little place for flute specialists who do not wish to double on saxophone in order to join a ‘reed’ section. 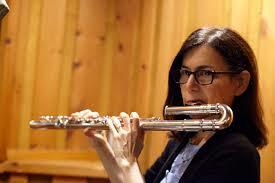 One artist who has contributed greatly to this process is New York flutist Jamie Baum. Known for her composing as much as for her performing, she has written extensively for, and toured with her own ensemble, a septet that blends her flute and alto flute with more traditional ‘front line’ instruments such as trumpet and saxophone, as well as the more unusual French horn. She has also been heard on a number of recordings as a guest artist where, again, she has blended her flute with brass and reed instruments. 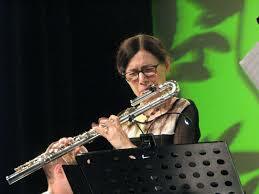 In a recent recording Jamie blends her flutes with the trombone of James Hall. Trombone and flute remain an unusual combination in jazz. It appears on Herbie Hancock‘s Speak Like a Child, with Jerry Dodgion on alto flute and Peter Phillips on bass trombone, Andrea Brachfeld works with Steve Turre on her recording with Chembo Corniel Beyond Standards, and Cuban based, charanga ensembles, such as that employed on Colette Michaan’s recent recordings do feature flute and trombone, often with a small string section. Pianist Monica Herzig employs Jamie in a 5 to 9 piece ensemble with brass and reeds, etc. But it is still a rarity. Both Hall and Baum tend to focus on their own compositions in their performances and Lattice is no exception, with half a dozen Hall originals plus a classic, Black Narcissus, by saxophonist Joe Henderson and, Kind Folk, a welcome contribution from the largely overlooked oeuvre of late trumpet/flugelhorn master Kenny Wheeler. The trombone/alto flute blend is evident from the start on Shoy, an engaging waltz-time original, then Hall shifts the timbre, but not the time signature, for the Joe Henderson piece, with pianist Deanna Witkowski moving to electric keyboard and the introduction of Cassity’s fiery alto work. The title piece is a gentle ballad while Brittle Stitch hits a middle tempo groove under the coaxing of Alan Mednard’s precise and sensitive drum work, with Cassity making another appearance to push things along. 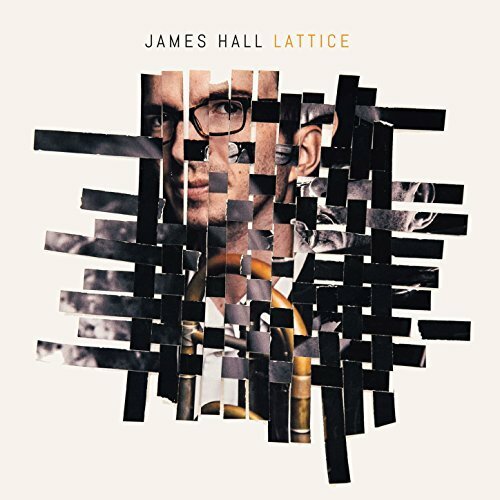 The carefully orchestrated patchwork continues with a deft handling of potential timbres, tempi and rhythmic feelings, and — very important — no over-indulgent solos or over-use of any specific effects, including trombone mutes which make a brief appearance in Terrace. Kind Folks reminds us of Wheeler’s brilliance as a composer, while the whole album demonstrates Hall’s creativity and sensitivity as a composer/arranger, while the line up affirms that the flute, at least in Jamie Baum’s hands, can hold its own in any jazz ensemble’s front line.